Yesterday, President Obama announced plans to use executive authority in a controversial move that would grant amnesty to millions of illegal immigrants living in America. In response, the Republican National Committee released a new video called “#Unconstitutional” exposing the President’s hypocrisy on the matter. Prior to Thursday’s big announcement, Obama’s opinion on how executive orders should be used was as plain as the ears on his head. In fact, throughout his two terms in office, Obama consistently held that Presidential executive authority did not extend to policies like immigration reform, much to his constituents’ dismay, noting that this would make him more like an emperor than a President. This week, however, Obama flip-flopped on that position, and the turnabout was so flagrant that it was reported by the likes of The Washington Post‘s Fact Checker, PolitiFact, FactCheck.org, and The New York Times. All of this was good fodder for the RNC, who used President Obama’s own words in their video “#Unconstitutional” to show his deception. In the piece, the RNC showed clips of Obama from earlier speeches and addresses rejecting the idea that the President can use executive action to grant amnesty. 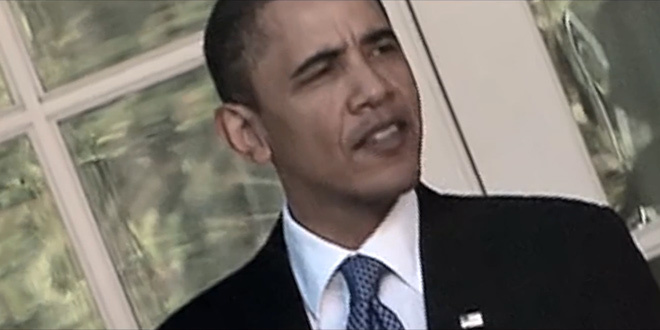 These clips were intercut with footage of Obama from earlier this week completely contradicting himself on this issue, revealing him to be the emperor that he now is.